I may not be a fan of running and I may not be a fan of Electronic Dance Music, but it turns out I quite like it when they’re mixed together. 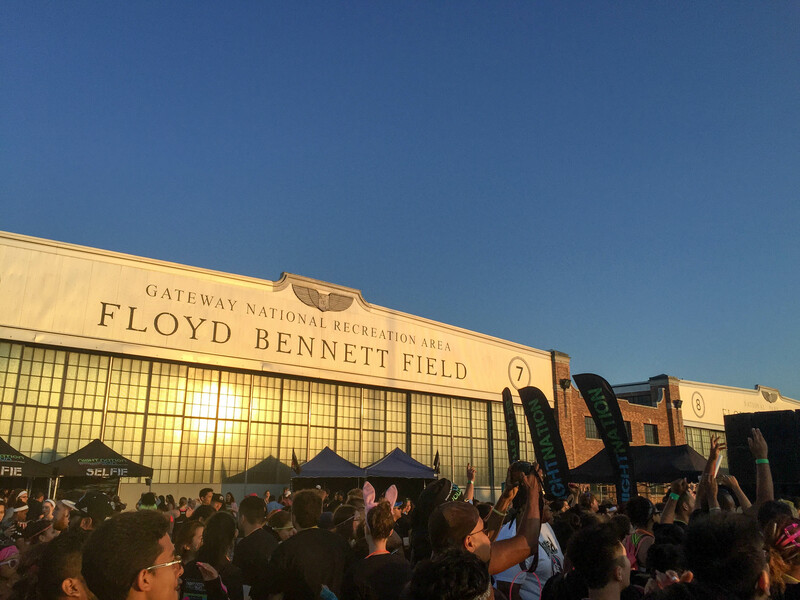 Last weekend, Ryan and I donned our running shoes – honestly the first time I have worn mine in many, many months years – and drove 40 minutes to Floyd Bennett Field so that I could check another item off my ’30 Before 30′ list – and because, well, we’d bought a Groupon. 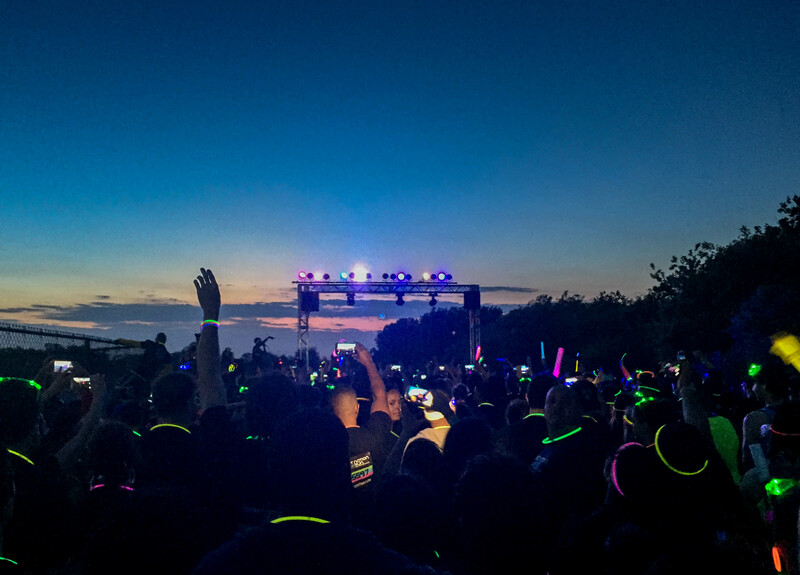 We’d signed up to ‘Night Nation Run’ – a 5k that started at sundown and promised to entertain us with DJs along the route. When we turned up, it was far bigger than I’d expected; according to the organizers, more than 15,000 runners took to the track. The night started by bopping away to some music at the main stage, where most people were about half my age (I saw a lot of braces). 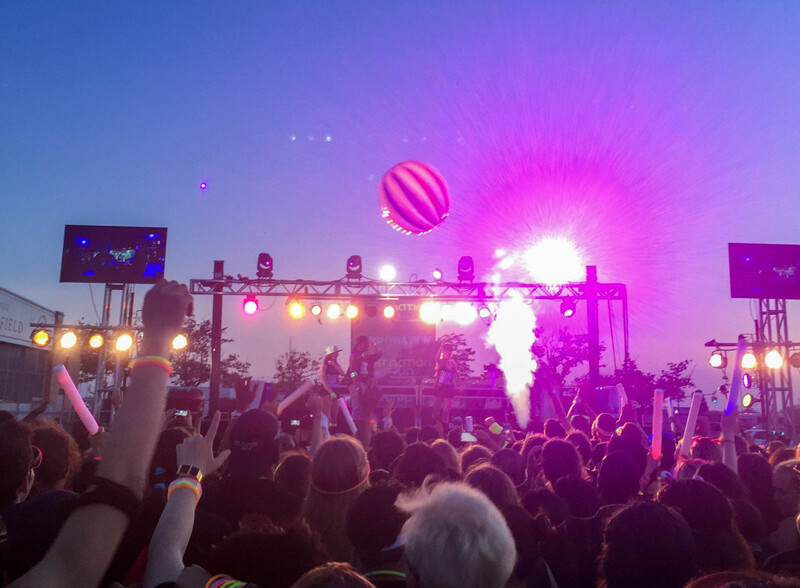 Dancers and DJs threw goodies to the wailing crowd to warm us up, and who knew inflating a big beach ball and throwing it at a group of people could bring so, so much joy? 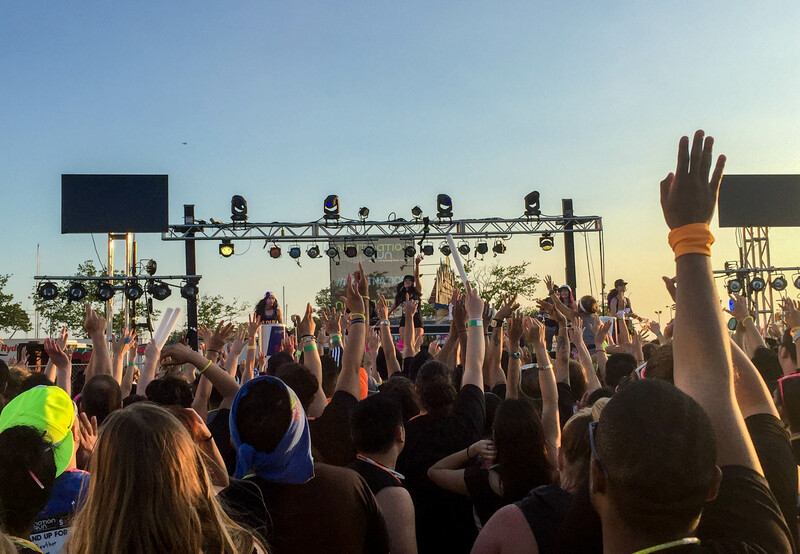 It was silly and fun – and I recognized about two of the songs. At 8.30pm, the DJs signaled the beginning of the race so we headed to the start line and joined the queue. 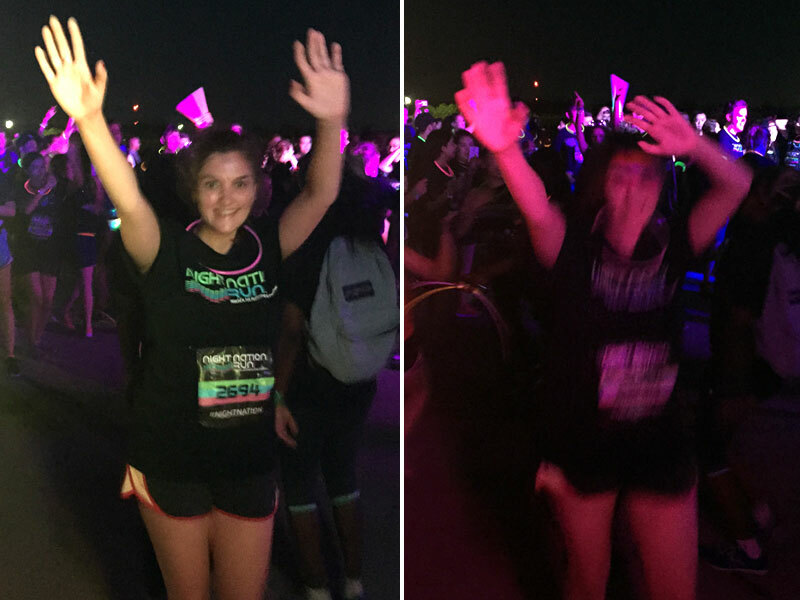 Everyone’s free fluorescent sticks – worn as headbands or necklaces – and neon tutus or long socks lit up the path while we waited to reach the front of the line. Dodging pot holes in the ground, we were off. Floyd Bennett Field was the city’s first municipal airport (built in 1928) and then became a naval base before being turned into a park. While I love running through cityscapes because all the activity around me takes my mind off the fact that I’m exercising, this remote site was ideal for the event. It was completely flat and the wide roads – literally runways – were perfect for the thousands of runners. Plus, there were no neighbors to complain about the noise. And there was a lot of it. About every half a kilometer, we came across another DJ set. 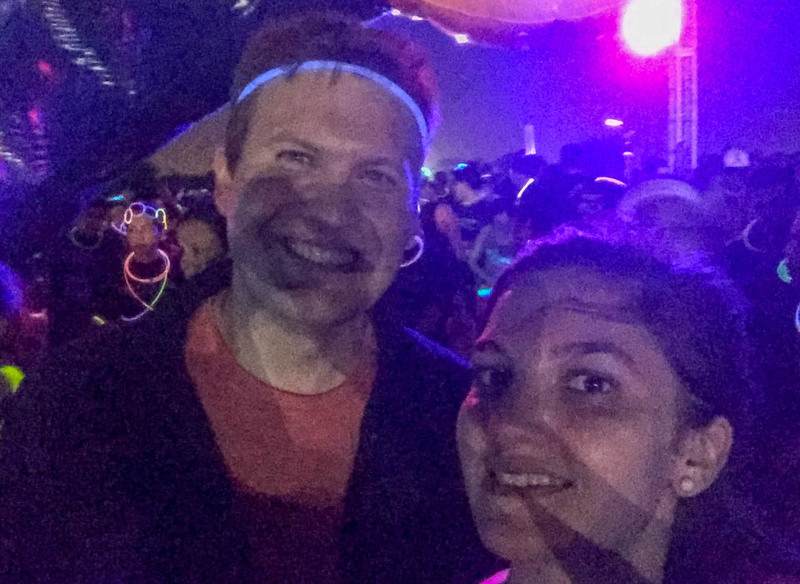 Some runners stopped and gathered around them to dance but Ryan and I pushed on to complete the race. 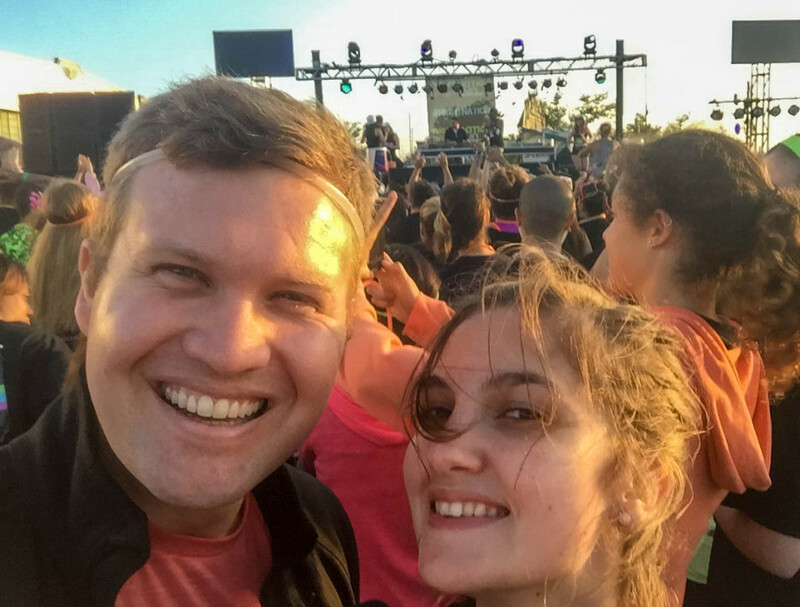 I had wanted to treat it like a real 5k – plus, after not running in years, I feared that if I stopped, I wouldn’t be able to start again. We weren’t timing it – to be honest, I was just glad to be able to run it with relative ease – but the loop took us about 40 minutes. When we reached the finish line, there were sweaty smiles all around. While we treated it more like a 5k than a rave, a lot of people took the time to bop along to the music and plenty of the participants just walked the track. Because of this, it was such an inclusive event and the whole thing was just a fun, alternative way to spend a Saturday night. It’s definitely made me feel like I shouldn’t wait quite so long to put my running shoes on again. Who knows, maybe I’ll brave one in the city next. 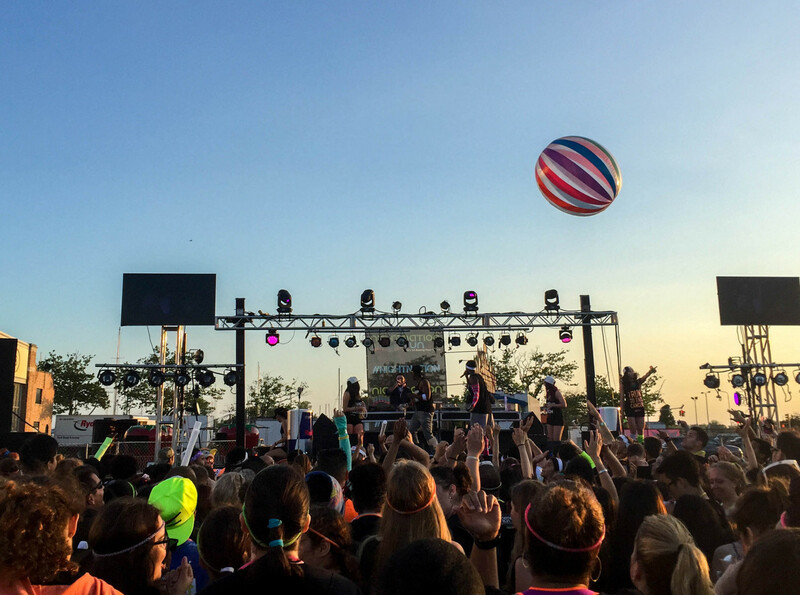 Night Nation Run is billed as the nation’s first running music festival and has upcoming dates across Texas, California, Arizona, Ohio and many other states – but I’m sure it’ll be back in NYC next year, so keep an eye on the website. Our tickets cost $29 through Groupon. It also means I’ve now completed 11 of my 30 items on my bucketlist for this year – so I’ve got a lot of work to do! Now this is a definite way to spice up a boring run, I love it! I’ve always wanted to try one of those color runs (where you end up a mess of neon at the end! 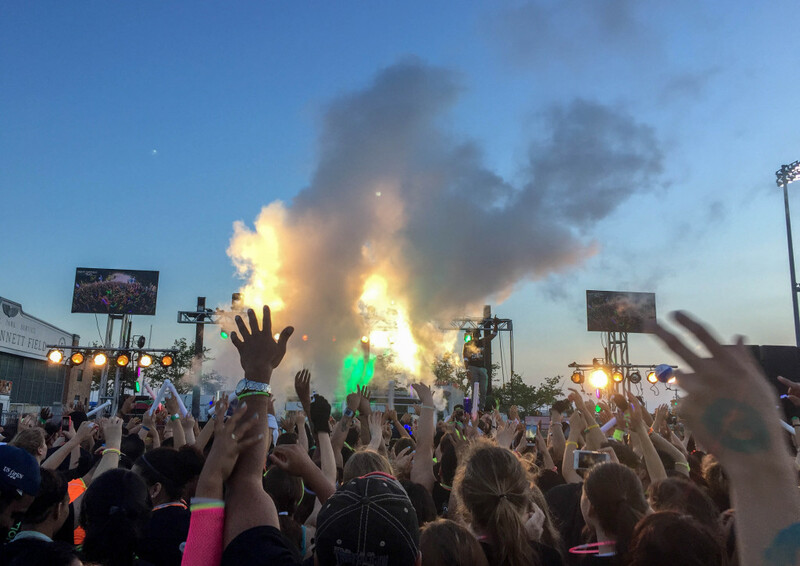 ), but running through a rave certainly rivals that for entertainment! And congrats on hitting 11 on your list, yay!!! This was a Fun Run i did a Quick Video Review Here.